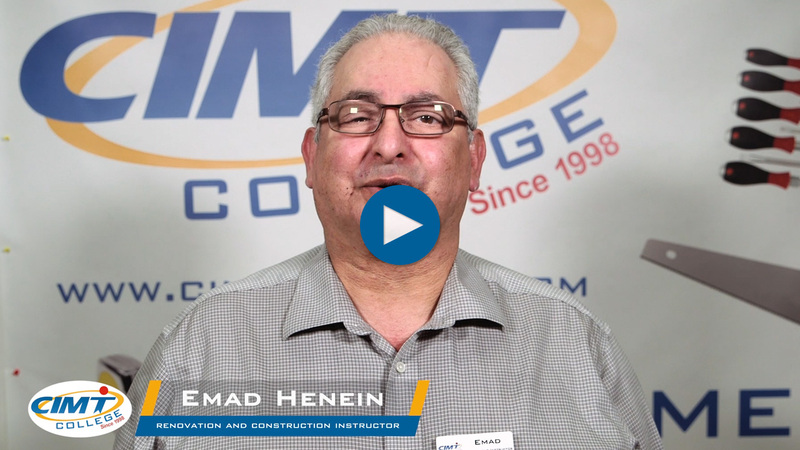 Renovation and Construction Technician provides students with a competitive advantage within the renovations and construction industry. Students first enjoy a classroom setting, where they can gain knowledge in theoretical aspects. Then the excitement begins, as students move into the “Build House” where they will construct a multi-room home using the skills and knowledge from the in-class components. The Build a House course provides a practical, hands-on construction experience which will be a huge asset when they seek a job. Students also learn WHMIS, Health and Safety, and Working at Heights to meet Ministry of Labour standards. Students spend approximately first half of the program learning the theoretical aspects of the Renovation and Construction industry, including how to use the various tools, how to determine quantities using building math, where to source suppliers, how to choose proper materials and arrange a discount, and more. Students spend the other half of the hours dedicated strictly to the hands-on practical aspects of the industry, including how to lay flooring (tiles, ceramic, hardwood, laminate, and/or linoleum), drywall, mudding, sanding, painting, and ceiling systems. They also learn about rough and finished carpentry, and an introduction to plumbing, electrical, and HVAC. Renovation workers must demonstrate decision making, job task planning and organizing, numeracy, project management, problem solving, and working with others. Microsoft Word, Excel, PowerPoint – Introduces word processing, spread sheets, power point presentations. Microsoft Outlook - Explores the basic and advanced features of Outlook. Professional Skills- Trains on interpersonal skills required for successful induction and working in professional world. Foundations - Choosing the correct foundation, either concrete or wood, and in the concepts and process of building a foundation. Students are introduced to the required tools for foundation construction. They learn about minor repairs and upgrades to foundations, as well as how to replace a shallow foundation. Students also learn about damp basement solutions. Blueprints and Building Codes – Architectural and blueprint reading from the perspective of someone who will need rudimentary skills for construction and renovation in order to find and understand critical information on blueprints. Students learn about sheet sizes, tile blocks and borders, as well as the importance of lettering, abbreviations, and symbols on architectural drawings. Students also learn about architectural scales and notations, as well as the proper techniques for folding and storing blueprints. AutoCAD Level 1 – The basics of AutoCAD so that students can use it in a productive manner as it pertains to renovation and construction. Students learn to switch between Classic and Drafting and Annotation workspaces, and well as modelspace and paperspace. Students will learn to work with basic draw commands, add layers, text and text styles, colours, linetypes, and lineweights. Students will learn to set up a basic layout with a properly scaled viewpoint, and plot the layout accordingly. Tools and Shop Equipment – Learn how to use and maintain hand tools like handsaws, hammers, abrading tools (sandpaper, rasps), dismantling tools (nail pullers, wrecking bars), and chisels. Students next learn about portable power tools, like screw and nail guns, abrading tools (grinders and sanders), planning tools, and routers. Students learn about stationary power tools like table saws, chop saws, miter saws, drilling and boring tools. Students also learn about explosive actuated tools, as well as how to choose, clean, and maintain, all of the tools in the course. Project Management for Construction Introduction to project management specifically as it pertains to construction and renovation. Students learn about building a project plan and the project management process. They learn about budgeting and estimating to keep within the project’s triple constraints. Students learn about various stakeholders for a project, about leadership, and meeting effectiveness. Framing and Rough Carpentry– Learn the difference between wood and metal frames and their characteristics, pros and cons. They learn to select proper framing lumber or materials, and how to use framing tools like nail guns, with safety. Students learn the Framing Square, and how to calculate and cut angles for wood frames and metal frames. Students also learn how to design, lay out, and build stairs and rafters. Finished Carpentry- Learn about measuring and layout, in addition to cutting, shaping, sanding, nailing and drilling. Students explore the materials required and learn the basic skills to do finished carpentry on the job. They additionally learn about door and window casings, as well as baseboard and crown molding. Drywall and Painting – Drywalling, various tools and types, and the materials required. Students learn how to drywall over plaster, how to tape, and how to properly do three coats with sanding. Students learn about soundproofing, choosing paint, and all of the supplies and tools required to properly paint. Ceiling Systems – Introduces students to various types of ceilings which are used for renovation and construction. Students learn about leveling and using a laser level, and how to install ceiling boxes and fixtures. Students also learn about issues with ceiling systems, including weight concerns for building codes and safety, dealing with rot, and insect infestations. Students also learn how to cut holes for fixtures, and how to prepare, paint, and finish a ceiling for a professional look. Flooring – Learn various types of flooring, including hardwood, laminate, ceramic, and carpeting. Students learn to choose the proper tools and prepare the floor surface. They next learn the skills of laying out a floor, including design options, horizontal, vertical, diagonal, and even custom designs. They explore cutting techniques as well as installation and fastening methods. For tiling, they also learn how to lay a heated floor, wall tiles, and grouting and sealing methods. Introduction to Electrical – Introduction to Canadian Electrical codes and municipal codes, and students learn what they can and cannot do without a licensed electrician. They learn the theory of electricity, voltage and AC/DC Currents, power factors, and the dangers involved with electricity. Students learn to install a receptacle, install a switch, calculate, measure, and run a line of electrical wire. They also learn about fuses and breakers. Students do not become "electricians." Introduction to Plumbing – Introduction to Ontario Plumbing Codes, and students learn what they can and cannot do without a licensed plumber. They learn the theory of plumbing, water factors, and the dangers involved with water. Students learn to install a copper pipe, work with ABS, test drains, and install, repair, and maintain domestic, commercial, and industrial fixtures. Students also learn to measure, cut, bend, and thread pipes, and well as join pipes using clamps, cement, and soldering. Students do not become "licensed plumbers." Introduction to HVAC – Introduction to Heating, Ventilation, and Air Conditioning, commonly referred to as HVAC. Students learn what they can and cannot do without an HVAC Contractor. HVAC must be considered as part of any construction plan, so students learn the basics about HVAC systems which control the ambient environment, including temperature, humidity, air flow, and air filtering. Students are taught about the necessary tools, materials, testing instruments, and service equipment for HVAC basics. Students do not become "HVAC Technicians." Build a House – This course gives students the hands-on-learning experience of building the interior structure of a multi-room home. Depending on the number of students in the class, students will build a 2, 3, or 4 room house interior. All of the theoretical training from the first four months of the program is implemented at every stage as students build a house using input from their own blueprint design, from conception to costing, to material purchasing, to layout, to construction, to flooring and ceiling systems, to trim, painting and finishing. Students also learn about demolition and how to salvage old materials to reduce costs on projects. Students spend 10 weeks in the Build House constructing a multi-room house interior using the skills and knowledge they have gained in the program, making this a truly hands-on program that will open the door to employment in the ever growing construction and renovation industry. 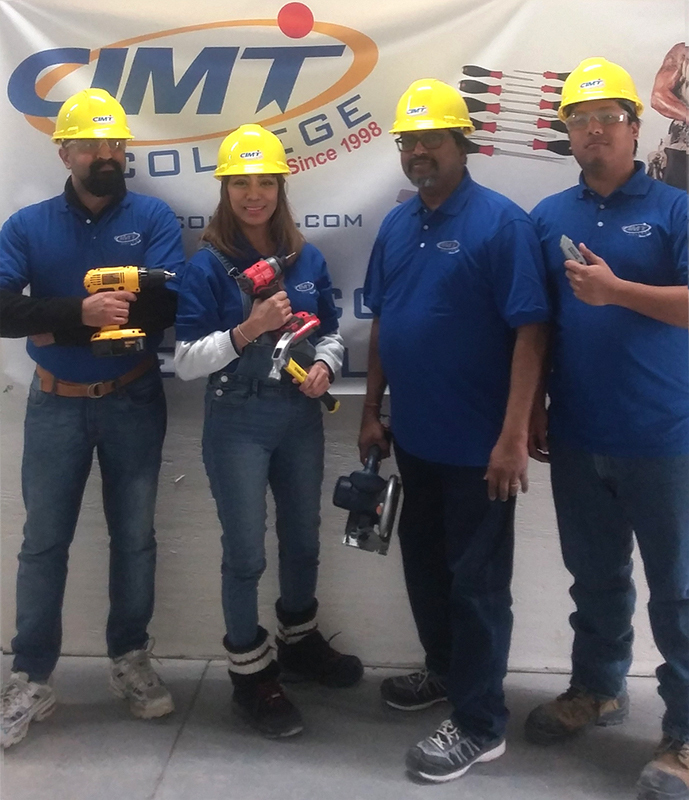 With the wide variety of training in this program, students will be absorbed quickly into the workforce at various construction companies, renovation businesses, or if they prefer, they could start their own business and become self-employed. NOC -7611 – Construction trades helpers and labourers. NOC -7295 – Floor covering installers. 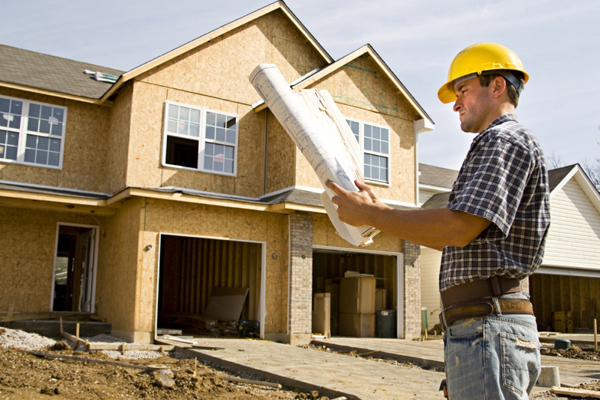 NOC -0712 – Home building and renovation managers. Common Companies where you can apply include – Construction Companies, Home Renovation Companies, Custom Home Builders, Licensed General Contractors, or choose to be Self Employed. Load and unload construction materials; move materials to work areas. Mix, pour and spread materials such as cement and grouting. Operate pneumatic tools like nail guns as directed. Engage in renovation and construction activities like tilesetting, plastering, drywall installation, insulating and painting. Establish methods to meet work schedules and co-ordinate work activities with other subcontractors. Job openings in the field of renovation and constructing usually seek a person who has completed college or other equivalent diplomas, and/or has experience working hands-on, not just theoretical, as practical knowledge of is considered to be essential. Employers are also looking for manual dexterity and an ability to lift up to 50 lbs, and demonstrate physical strength and stamina. Employees must be reliable, punctual and willing to improve on their skills. Employees must have attention to detail, in order to measure and check product length, width and notch locations. Everyone must be safety conscious and willing to maintain a clean and orderly work environment, combined with good organization skills. The ability to be a team player is essential since all tasks will require close collaboration with co-workers. For self-employment or work travel, a Drivers License is preferred, although not always required. There is a strong and stable job market for people in renovation and construction, because as long as we have things being built, a diploma as a Renovation and Construction Technician is always in demand, no matter what is going on with the economy. For more information on Employment Prospects related to renovation and construction technician, ask for a copy of BuildForce, which shows the prospects from 2016-2025. Their projection shows an extended period of gain in employment, and that employment has consistently risen since the 2009 recession for residential and non-residential construction. The biggest gains were in the GTA and Central Ontario, and they anticipate that growth will continue until 2019, which will be an employment peak. 2019 will also mark a 25-year consistent expansion which has DOUBLED construction employment.